hörbert is the MP3 player for children. Experience the uniqueness of hörbert. 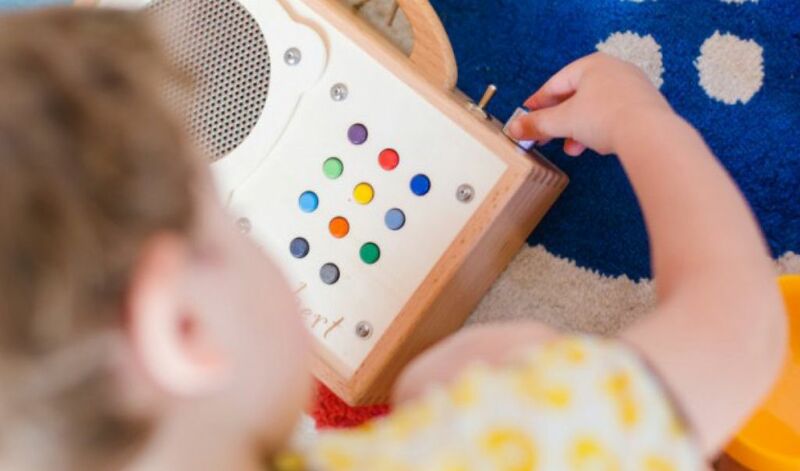 Feel the robust solid wood, be inspired by the easy handling and enjoy the freedom to listen to exactly what your child loves. No matter where you are. Let’s make the world a little better together. We produce hörbert in a considerate and resource-conserving manner. 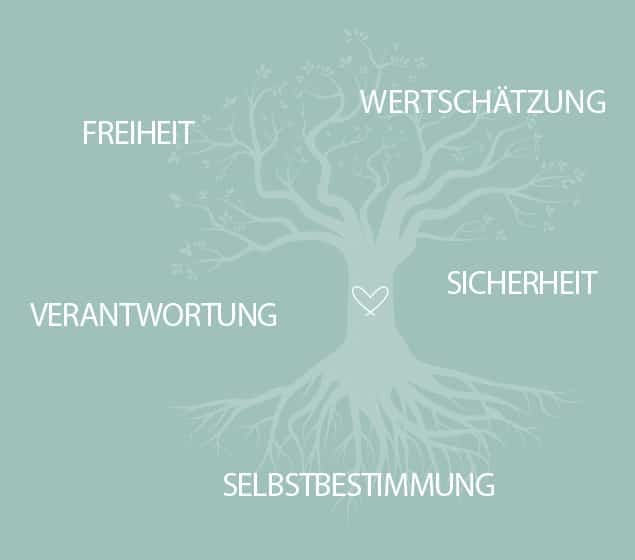 With the purchase of hörbert you take a piece of responsibility for the future of your children and grandchildren. hörbert with name engraving: a very special personal gift that quickly becomes a loyal companion. hörbert is the ideal companion, even outside the children’s room. 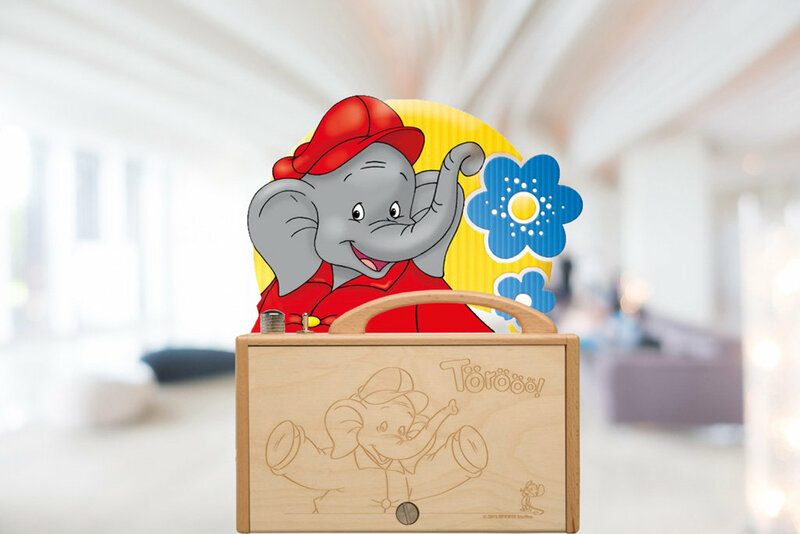 Listen to adventure stories while camping, sing crazy songs in the tree house or romp around in the garden with songs of movement – hörbert is always with you. Should hörbert be prerecorded with German titles or multilingual songs and stories? You have the choice – in the hörbert shop. Are you an educator or do you work in a care facility? Then you’ve come to the right place. Even in professional use, children and seniors enjoy a reliable music player that always brings them joy, comfort or accompanies a therapy. We appreciate and support the work with young people or people in need of help. Find out everything about special purchasing conditions for nursing, care and educational facilities. Filled with audiobooks and engraved on both sides – a MUST-HAVE for real fans! Enjoy with your child these jewels of the Benjamin Blümchen® and Bibi Blocksberg® special editions. You are creative and want to build your own player? 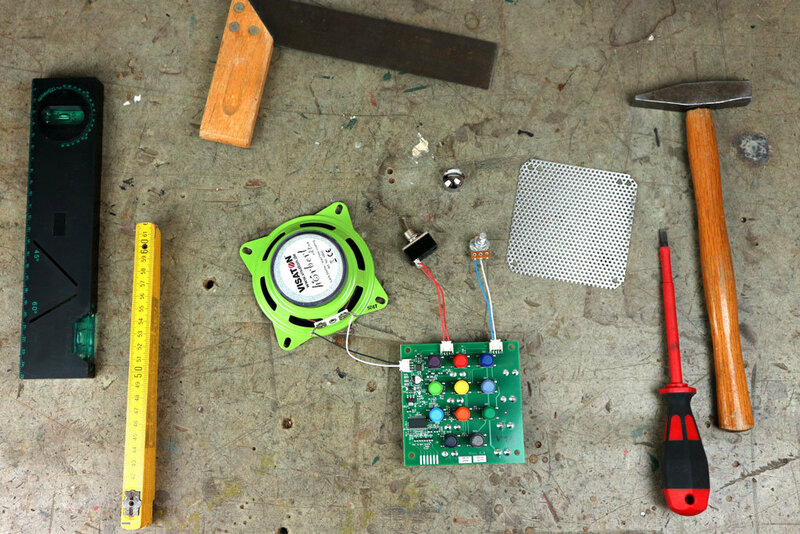 Our electronics kit can be screwed and soldered together with simple basic knowledge. 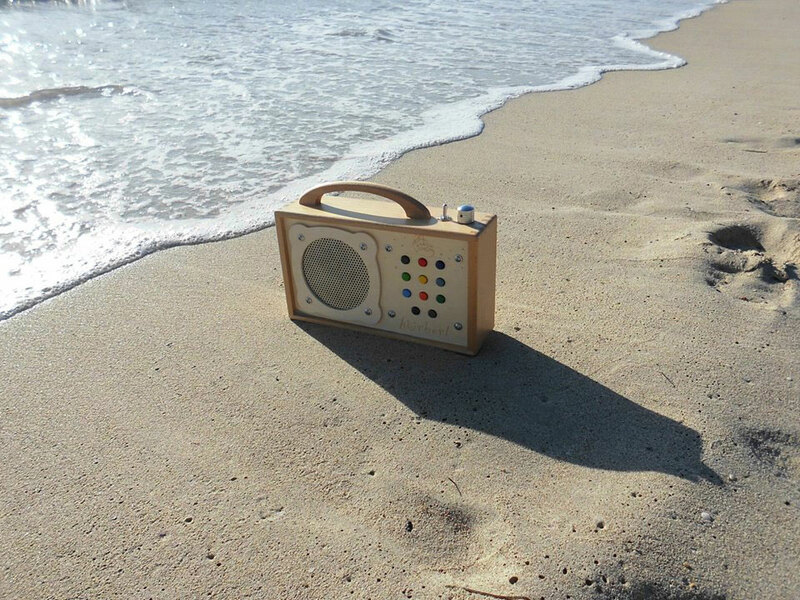 So you can easily build a treasure chest or turn a toolbox into a jukebox. Looking for inspiration? You can find them here. And not to forget: Our felt bag sewing set. It is available in five colours and can easily be sewn together with a little sensitivity into a soft cover for your hörbert. Buy hörbert now – made just for you.